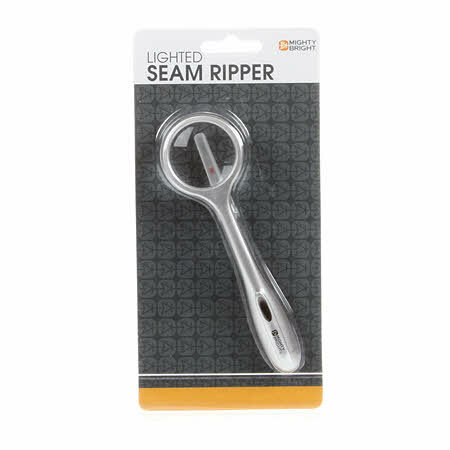 This seam ripper features a sharp metal blade that unfolds from the main handle. A 1.25in lens quadruples the image size of your blade & stitch. The enlarged area is brightened by an energy efficient LED. Includes three micro cell batteries.